At Paris Fashion Week, one tech incubator showed off the possibilities. On Sunday, there were no cars in Paris as the city clamped down on soaring pollution and tried to honor the climate accord that bears its name. With Paris Fashion Week here too, garment makers must face their own part in the planet's despoilment. 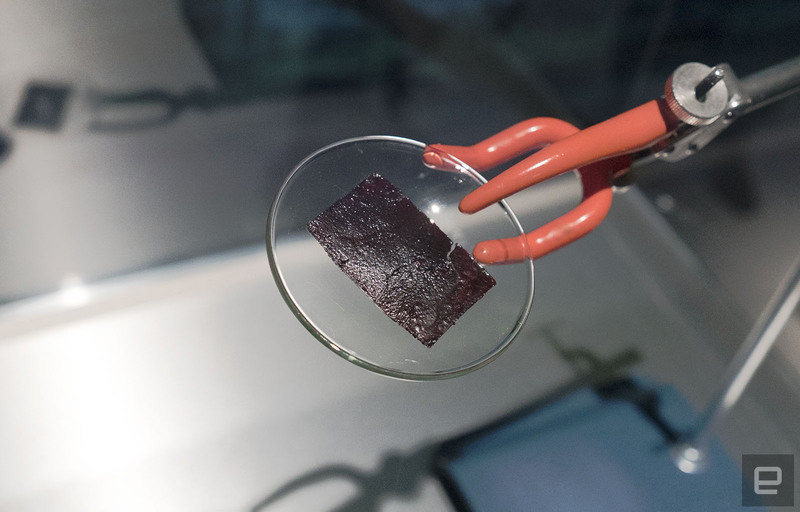 An incubator called Fashion Tech Labs (FTL) is trying to break the textile pollution cycle with new tech like stem-cell leather, recycled fabrics and ultra-strong spider-silk-based fibers. At Google's Paris Arts & Culture Center, I had a look at some of the tech and talked with FTL and the event's esteemed host, sustainable designer and fashion icon Stella McCartney. The fashion industry uses obscene amounts of water and fills dumps and oceans with materials that linger for generations. "You have to understand the impact the fashion industry has on our environment," McCartney told Engadget. "It's the second-most-harmful industry on the planet. We need to take responsibility." McCartney is on the forefront of sustainable fashion, having used "skin-free leather," recycled fabrics and other innovative materials ever since her company launched 16 years ago. Another major manufacturer experimenting with the idea is Adidas, which has developed several shoes in conjunction with ocean-plastics recycling organization Parley. Adidas plans to eventually produce up to a million of its Ultraboost Uncaged Parley shoes by the end of 2017, but for now, production is in the thousands. Unless the majority of clothing and footwear companies -- and not just high-end fashion lines like Stella McCartney or select manufacturers like Adidas -- start to make sustainability a priority, the problem will only get worse. That's where Russian fashion industry scion Miroslava Duma and her new organization come in. Fashion Tech Labs is an incubator for sustainable fashion, wearable electronics and other cutting-edge clothing, jewelry and designer innovations. FTL is one of a new breed of such research and incubation firms that see garment-industry waste as not just a problem to be solved, but a financial opportunity. "This is a revolution that's coming," said Duma. "So we'd rather be in, because it's going to happen anyway." 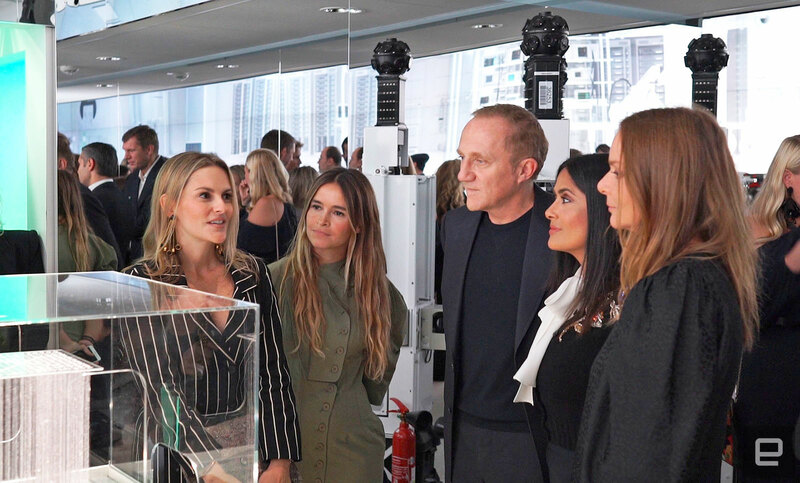 Duma's company organized the event along with McCartney and Google's Arts & Culture Lab, which has a tie-in via its recently launched We Wear Culture virtual style exhibition. The idea was to show off some of the tech that's germinating, often literally, at Fashion Tech Lab. That includes VitroLabs tissue engineering, which creates ethical leather from cow, ostrich and crocodile cells, and Worn Again, which recycles discarded textiles, saving copious amounts of water, oil and other raw resources. Other companies include Bolt Threads, which produces high-tensile-strength materials molecularly derived from spider silk, Diamond Foundry's "morally pure" man-made diamonds that are "optically and atomically the same as a mined diamond," and Mint Materials, which is producing a plant-based antibacterial and odor-control treatment for clothing. "We use advanced stem-cell technology and tissue engineering to create full-thickness skin that we then tan and turn into leather," VitroLabs co-founder Ingvar Helgason told Engadget. "This completely removes the need for animals; it reduces the environmental impact and allows us to enjoy the beautiful materials that we've become accustomed to, but without the environmental or ethical implications." "Fashion Tech Lab is working across a couple of different pillars, the first one being investment into these startups," said the company's chief of technology and research, Dr. Amanda Parkes. "We're really trying to grow and scale these technologies to make them accessible and connect them with luxury and big fashion brands." The fact that celebrities and designers are taking an interest in sustainable fashion tech is a good sign. Wearable technology needs fashion designers more than fashion designers need technology -- smartwatches, for instance, were moribund until Apple, Fossil, Tag Heuer and others introduced decent-looking products. 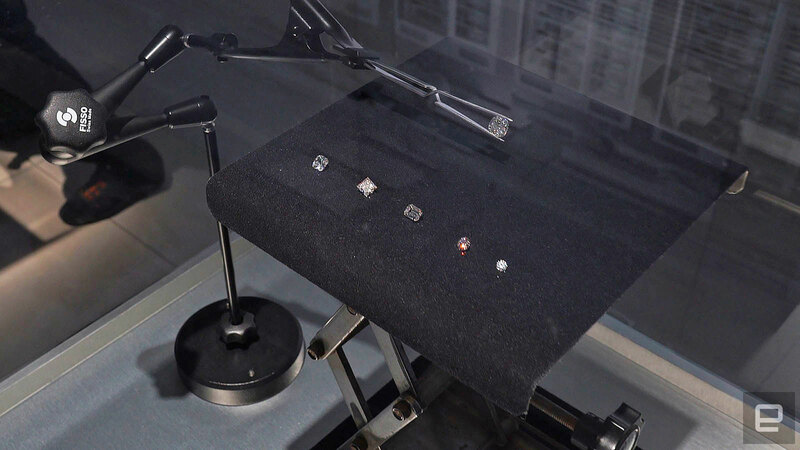 Some of the technology, from Diamond Foundry and VitroLabs, for example, is aimed at the high-end luxury fashion business, for now. "[We have] a customer base that really does care about sustainability," said Ian Rogers, chief digital officer at ultra-luxury brand LVMH. "If we can upgrade the high-quality materials that we work with and make the planet better along the way, that's a win." But what about the rest of us? Recycled textiles and materials made from ocean waste and other sources seem to hold the most promise for the larger consumer market. With its ocean-plastic shoe, Adidas proved that customers are buying into the premise, and Stella McCartney thinks manufacturers and designers needn't worry about demand. "The consumers are way ahead, sadly, of the designers and businesses," she said. "And I hope the industry is seeing that we seem so old-fashioned. [Textile waste] is really quite terrifying, so I hope that they go away from this event and reflect on how they need to do something about it now."